Say you’re interested in the nature of pleasure. 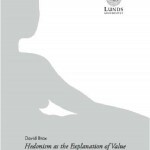 Say you’ve harbored hedonistic inclinations all of your life, but haven’t really found a version of that theory that really fits with your empiricist life-style. Say that you find meta-ethics absolutely hilarious and the publishing industry just can’t turn out books on the subject fast enough for you. Quite besides the obvious fact that you and I should be friends, (Facebook friends at least – all the information, none of the guilt for not calling, or caring, really), here is something you might be interested in. 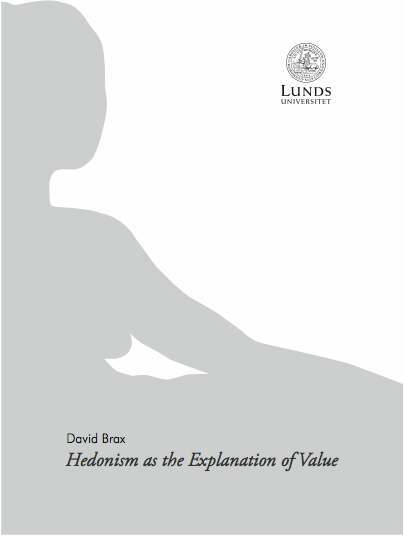 It’s my dissertation, ”Hedonism as the Explanation of Value”, which I (successfully, I might add) defended in Lund, Sweden on Saturday the 12th of september. Thanks! As an Aspiring Academic, I’m contractually obliged to say that I thought the article simplified things that are actually quite complicated, but I’m more than happy that I got the attention. And yes, I will keep up the good work, perhaps even improve on it a bit!